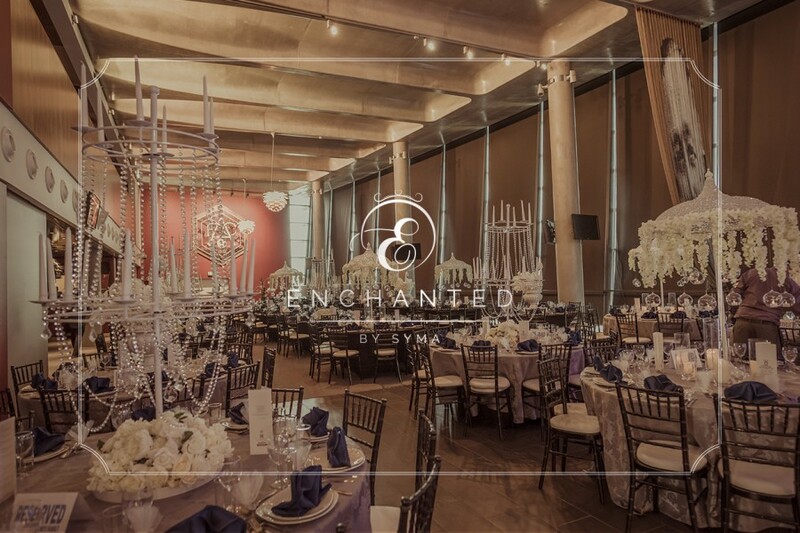 Team Enchanted were privileged when they were approached by one of the Asian industry caterers, Maida, to decide on the theme and look of their son Saqib & Bride Sophia’s grand wedding at the Emirates stadium. With over 600 guests we were not shy about what we had to do, although the pressure was on. Seeing as we love creating unique & statement pieces we decided to stick with our swan lake collection but to design the looks quite differently to what we had done previously. 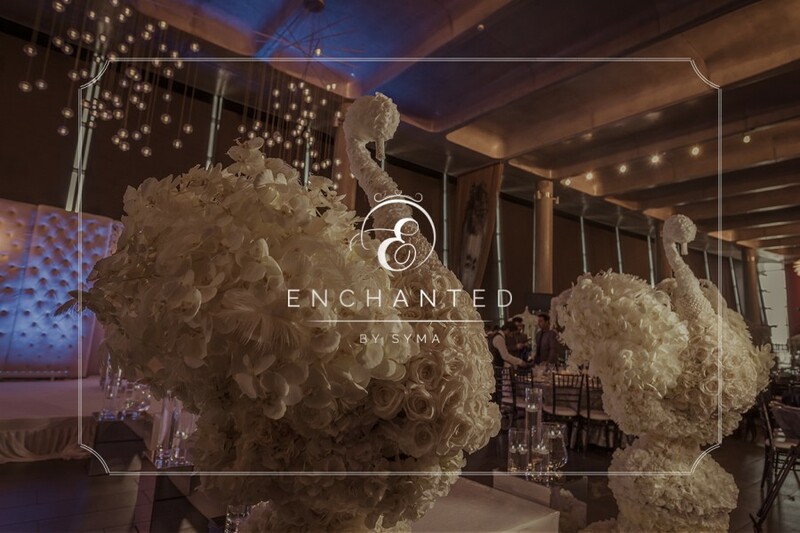 We presented the tables with graceful white Swans on urns, umbrellas decorated with beautiful wisteria and bauble tea light holders to create a luxurious wonderland feel. 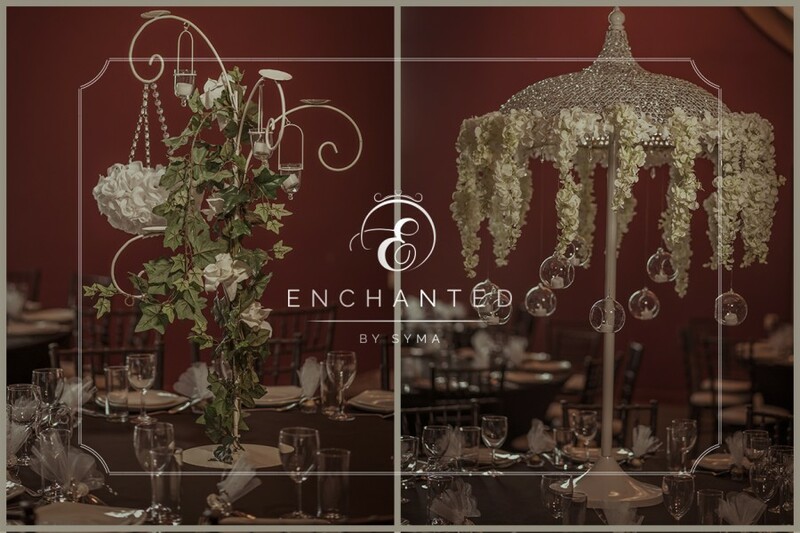 We added in our grand & fabulous chandelier and floral basket centerpieces which are designed by our creative floral team. 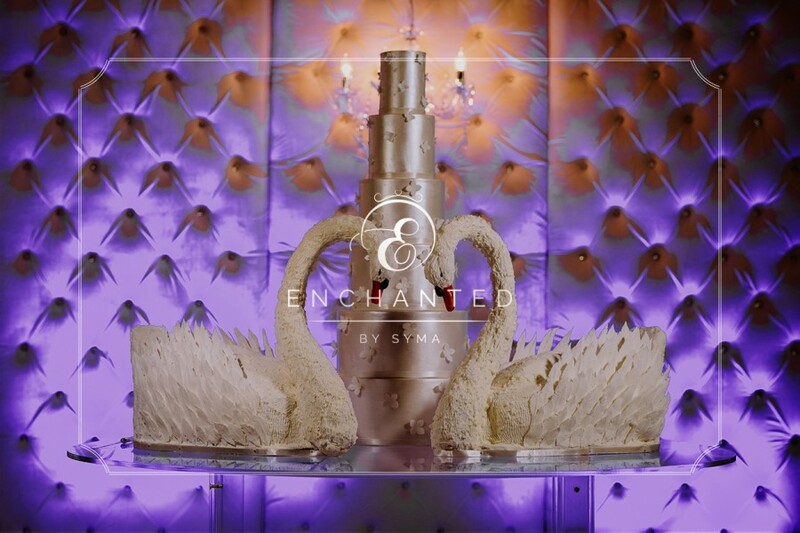 The magical feel of this luscious wedding didn’t stop here; we had two oversize statement swans as the focal point at the entrance, where the guests first walk in from & at the beginning of our precious bride & grooms walkway. Tables were decorated with gorgeous grey brocade linen, napkins charger plates and personalized menu cards wrapped up perfectly. We wanted this event to be a real trend setter as our lovely bride & groom left it all in our capable hands, so we couldn’t think of anyone better but the industries finest Sweet Hollywood to produce a showstopper cake, which is exactly what they did. All we told them was “it’s a Swan theme” and they produced the most innovative and real cake extraordinary design. The attention to detail on the overall look was incredible. Captivating all the guests and the look on the bride and grooms face when they walked in was priceless. 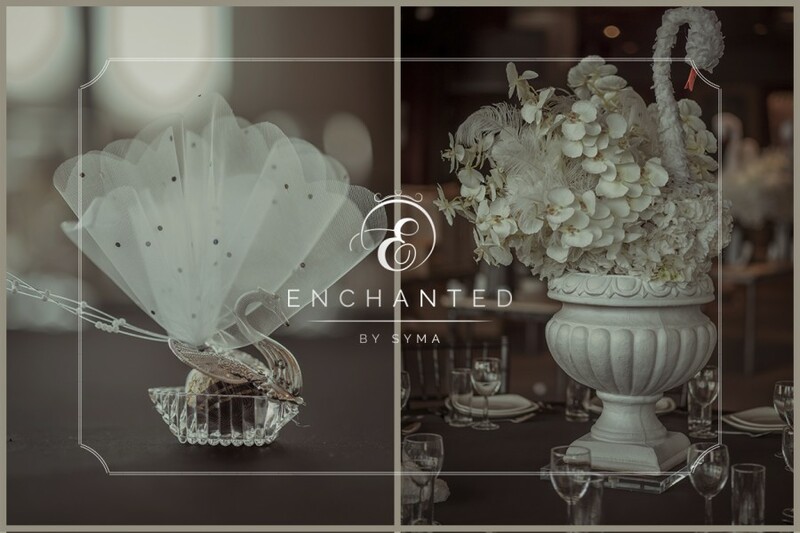 This event has really pushed team Enchanted out their bounds to ensure that we keep designing and producing the most unique and bespoke weddings for you.